Imagine you could trace back your family's history hundreds and hundreds of years. They were counts, dukes, kings, ruled the people and amassed a fortune - or at least dutifully served thus who did. Now most of what is left is a big pile of stones, also known as castles. But you neither rule the people (and could thus raise taxes) nor have a fortune left. What to do with that castle? If you are a minor noble from a little known family, all you can do is to hustle and bustle and hope for the best, try to find someone who wants to buy it or ultimately let your castle fall into ruins. If your ancestors were well-known and actually ruled the region, chances are that the castle is of historical and cultural importance and thus the state may be willing to take if off your hands. Today, let's have a look at several examples of that in Germany. Schloss Marienburg, of course, is still on everybody's lips. Late last year, the Hereditary Prince of Hanover announced that he would sell his family's last major German castle to the state of Lower Saxony for one symbolic euro with the collection being put into a foundation by the Guelph family to remain at the castle. The sale was supposed to come into effect on January 1 of this year. However, the sale has been put on hold after some major family quarrels while it is also still hotly debated within Lower Saxony as opposition politicians are questioning the motives of the family. About 15 years ago, the Guelph family sold art and furniture in a well publicised auction bringing in 44 million euros. At the time it was said that the money would go into the upkeep of Schloss Marienburg - now politicians are perhaps rightfully questioning where that money went. Ernst-August Jr. of Hanover says that he used it to pay off the family's debts; his father, Ernst-August Sr., has since challenged his son's right to sell the castle in the first place and demanded the property back. I don't think we have heard the last of it. 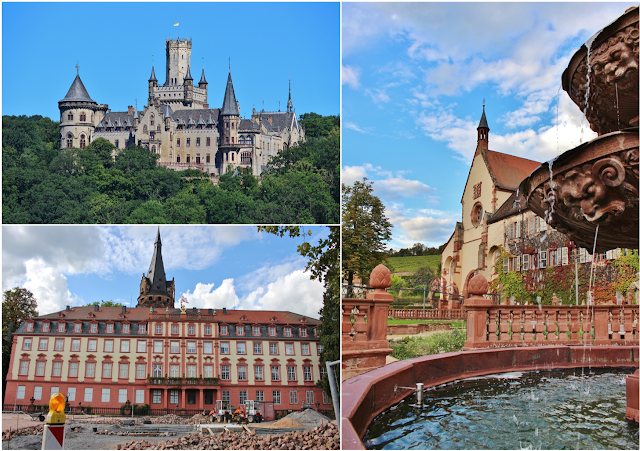 In difference to other castles Schloss Marienburg, however, was quite the bargain for the state. In 2005, the state of Hesse paid about 1.6 million euros for Schloss Erbach to the Hereditary Count of Erbach-Erbach with a further 12.2 million euros being paid by the state for the collections of art and other treasures exhibited at the castle. The Counts of Erbach-Erbach retained their private quarters in the castle as a an apartment with a pre-emption for the state if the family should ever run out of male-line heirs. A few years later, in 2008, the Margraves of Baden sold Schloss Salem and its art and furniture collections to the state of Baden-Württemberg for 60.8 million euros, including 25.8 million euros for the castle itself. Like the Erbachs, the Badens kept a small part of the castle for themselves. Needless to say, the sales of both Schloss Salem and Schloss Erbach were equally as hotly debated at the current sale of Schloss Marienburg (minus the family quarrels). We have spoken about this before and we will likely talk about it again and again in the future: Castles are an expensive business. A few years ago, I read that there is only one castle in all of Germany that can finance itself by paying visitors only - and that is Schloss Neuschwanstein, the ultimate fairytale castle of the Swan King and easily the most famous one of them all. So for everyone else, you need to have an estate including forests and agricultural land to gainfully assemble the necessary funds that go into the upkeep of a historical building. There is no doubt that it is an uphill battle. Another yet very different kind of example is Schloss Eutin. Already in 1992, the Duke of Oldenburg let go of his castle in Eutin by striking a deal with the state of Schleswig-Holstein. They, however, found a different solution for the future: While the Duke put his Schloss in a foundation, the state agreed to finance the necessary renovation works and future upkeep. For the past almost three decades, the state and family have jointly run the foundation with three family members forming part of the foundation council that also includes politicians from state, municipal and district levels, a local business representative and a local culture representative. As it's been almost thirty years since the deal, it is hard to tell how it was perceived at the time. Interestingly though, Schloss Eutin made headlines recently as the state of Schleswig-Holstein had to pinch in for the foundation to be able to meet their liabilities. Even further back is another example: In 1986, the Princely Family of Löwenstein-Wertheim-Rosenberg sold Kloster Bronnbach, which they had owned since its secularisation in 1803, to the local district. It has since been turned into a conference centre and event location. While, again, there is nothing to be found about the reactions of the time, it's not hard to imagine that these kind of sales were better perceived during a time when neither the state nor local municipalities weren't as deeply plunged into debt as they are today. In the end, no matter the public perception it always is sad moment when hundreds of years of family history come to an end. While family run castles oftentimes are more personal and the greater pleasure to visit, letting go will probably ultimately save these structures for generations to come - and who are we to deny our children and children's children the right to experience our shared history.